Susan B. Anthony dollar pure gold on silver coin watch. 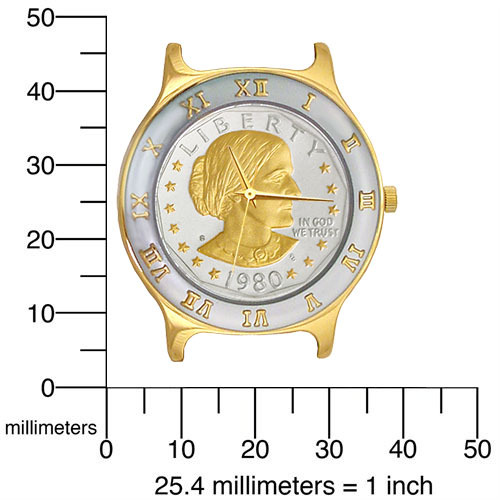 This distinctive ladies watch features The Statue of Liberty as commemorated in this stunning U.S. dollar. The watch dial is finished in our extreme precision 24K gold accents on silver plate AureTone finish. The Two-tone Lexington watch is our finest quality providing reliable, precision performance. 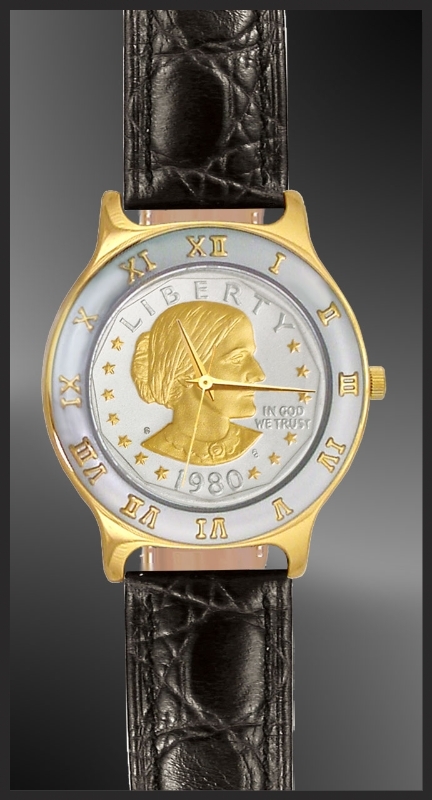 This distinctive ladies watch features the historic Susan B. Anthony dollar. The watch dial is finished in our extreme precision 24K gold accents on silver plate AureTone finish. The two-tone Lexington watch is our finest quality providing reliable, precision performance. Powered by a genuine Swiss quartz movement and secured within a stylish and durable stainless steel case with durable 18KT IP gold plating and genuine leather strap, each comes with the security of a lifetime warranty against defect and is accompanied by a uniquely numbered signet and certificate of authenticity.